One of the longest running art restitution litigations in the United States has been dismissed for a second time, with another appeal likely to follow. 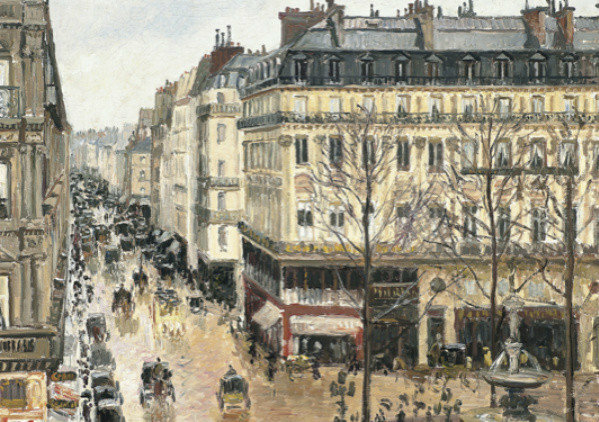 The heirs of Lilly Cassirer Neubauer have been pursuing the return of Camille Pissarro’s Rue St. Honoré, après-midi, êffet de pluie from the Thyssen-Bornemisza Collection in Madrid for more than ten years, but on June 4, 2015 the U.S. District Court in Los Angeles ruled that the Spanish museum has acquired full title to the painting by adverse possession. The key aspect of the decision is the court’s resolution of the choice of law question, namely, should California law or Spanish law apply to the question of who owns the painting? After a lengthy analysis the court determined that Spanish law applies, and that the museum has possessed the painting long enough to have become the owner regardless of the fact that it was sold under duress. So now a case that has already been to the Ninth Circuit Court of Appeals twice will almost certainly head back a third time. The court concluded its decision by appealing to the parties to “pause, reflect, and consider whether it would be appropriate to work towards a mutually-agreeable resolution of this action, in light of Spain’s acceptance of the Washington Conference Principles and the Terezin Declaration, and, specifically, its commitment to achieve “just and fair solutions” for victims of Nazi persecution.” But it is hard to see why that would happen. Notwithstanding the dictates of the Washington Principles, the Collection has been quite content to resist the claim. Now that it has won, it is hard to imagine it suddenly taking a different view.